The right tools in the right hands can work wonders, if given at the right time. Meet Deepak Ravindran, a young chap who fell in love with his Pentium III computer and a 56 kbps modem, and the rest that followed, was supposed to make history. From a 16-year-old boy who sourced CDs and tech magazines to sell and earn pocket money in school, Deepak Ravindran reached the first stage of his entrepreneurship dream in 2005 when he founded Swades Solutions. Another business that he built was an e-commerce website www.just4sale.com. He created the website in his summer vacations during high-school and sold it to a friend by the time he entered college. The most dramatic phase of his life started when he dropped out of college in his final semester. 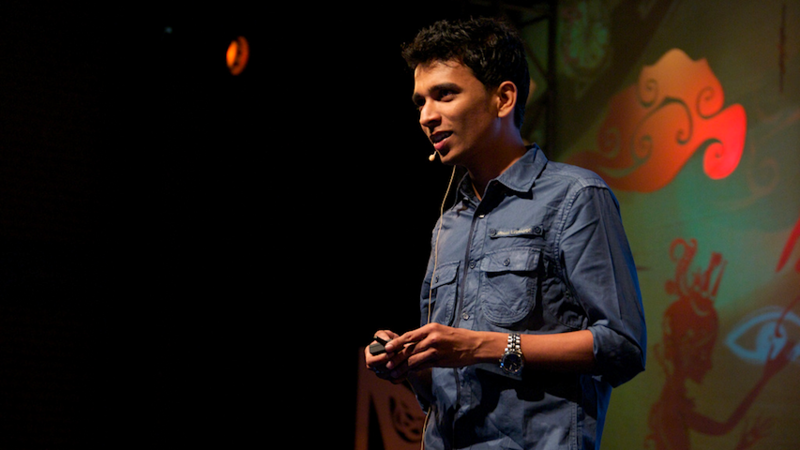 Along with three friends – Hisam, Ashwin and Abhinav, he co-founded Innoz Technologies Pvt Ltd. The idea, he says, came when he saw his mother using Whatsapp to order vegetables from a vendor. “I saw my mom chatting with her grocer over WhatsApp and placing her order. That was an eye opener about the way people use chat,” said Ravindran. The plan to drop college, and that too in the final semester happened because the four friends decided to join the iAccelerator’09 program which had offered them the first external source funding, and were invited to be a part of the incubator at Centre for Innovation, Incubation and Entrepreneurship at IIM Ahmedabad. The beginning of Innoz came with “SMSGYAN – Spreading Knowledge through innovation”, which was a 4th year project. A very simple platform, it helped people who had no access to internet. Delivering answers from internet to the phones without going online it provided gave dumb phones a chance to be smart. The project received praise and spread like wildfire in the campus. Realizing the low amount of internet usage and the cost-effectiveness, the platform soon reached to people out of college. Today, the service has processed over 1 billion requests with more than 120 million users. “Never thought that I would become the person I’m right now, but I never stopped doing what I loved. And I continue to do so. My greatest achievement is building a company that has integrity and culture that I’m proud of. When we had dropped out of college to pursue our dreams, it was very difficult for us to convince our families, peers and faculty about our goal of being an entrepreneur, because every guy next door would prefer to opt for a well-paid job and soon get married,” said Deepak. From chasing jobs in the last semester to recruiting 70 per cent of the staff for his company from his college, Ravindran said it felt like being in college itself. The feeling of dropping out never came because they were just four friends working on a project. The initial struggle did visit him, but his determination brought him a deal with Airtel in a Café Coffee Day, and then the list of clients followed. All major operators like Vodafone, Aircel, Idea, Loop Mobile, Tata Docomo, etc., are now a part of the client list that Innoz has. Other clients of the company are Wikipedia, Vuclip, Rotten Tomatoes, Wolfram Alpha, Zomato, Snapdeal, Bing, Wordnik, Justeat.in, Worldweatheronline, etc. Innoz was also selected as the Red Herring Global 100 and Asia 100 winner for 2010 along with Nasscom Top 8 Emerging Companies in India for 2010. His hard work defines the very reason of his success. Deepak Ravindran is an inspiration to other young entrepreneurs. You guys have detailed his journey in a really nice manner. Keep motivating people. People take it for the cool side, what they miss out is that they should have a plan. Nice story though.